Earlier this year you were bounding through the living room, doing your usual jump and land, jump and land routine when the “land” portion put your right foot directly on top of a very pointy plastic dragon named Toothless. I didn’t see it happen, but I heard the howl. You cut your foot pretty badly. There was lots of blood and tears and sobbing. Your mom and I sat with you and put pressure on the wound until the bleeding stopped. We all took deep breaths together and told you it was ok to cry as loud as you wanted. Eventually the throbbing of your foot subsided with the stutters of your breath and the three of us put a Doc McStuffin Band-Aid on it. Then you hopped up and continued your bounding… with a little bit of a limp. I love this story. I don't love the pain you went through, and the sound of your sobbing will always be with me. But I love that you learned from your pain. Not only did you learn. It made you stronger. And it gave you empathy for others. You're going to hurt a lot in your life. Some of it is going to by physical. You are a jump-and-land girl. Sometimes those landings are going to be harder than others, and often they are going to hurt. But you are going to learn to land better. Sometimes the hurt is going to be inside. Sometimes people are going to hurt your feelings, which, in large part, is outside of your control. Sometimes you're going to make a bad decision and it is going to hurt you or others. Sometimes you are going to be wrong. Being wrong is ok as long as you are willing to see it. With physical pain it is easy to see where you went wrong. "I shouldn't jump on top of plastic dragons because it makes my foot bleed." Easy peasy. With the other kind of wrong it is harder to see. You need to look both inward and outward. You need to look at how your actions make you feel inside, and how they make others feel. And then comes the most important part. You have to ask yourself, "Could I be wrong?" Sometimes you will be. And not only is that ok; that is awesome. Not that you are wrong, but that you are able to see it. I have learned far more from admitting I was wrong than I ever have from insisting I was right. There is no shame in admitting that you are wrong, because that moment is a moment of growth, and there is nothing shameful about growth. Sometimes we are oblivious to the dragons we are stepping on until they stab us in the foot. So be more wrong. Move quick. Break things. Take in the world around you, snap it in two, and put it back together again. There's no script to life. You have to find your way through, and than means messing up. I promise you this. You will always have me. Not only my forgiveness, but my praise and my pride. When you are wrong, I will acknowledge it and celebrate you for seeing it. And when you are really, really wrong. When the pain is too much. I'll sit with you and we will take deep breaths and it will be ok to cry as loud as you want. Sometimes growing hurts. A lot. Did you enjoy this post? I would be honored if you would come join the fun on the Ask Your Dad Facebook Page! 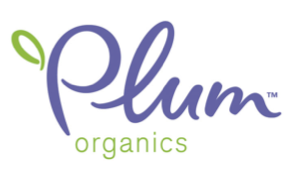 Thank you so much to the sponsor of this post, Plum Organics. They are more than a sponsor. They are a patron. Too often, brands that want to work with bloggers insist on controlling the message. Campaigns end up being a group of bloggers all essentially writing the same post. Plum's Parenting Unfiltered campaign has been different. Instead of asking me to pitch their product, they merely said that they wanted to sponsor my writing and however I could apply it to their #ParentingUnfiltered campaign. It has been a joy working with them, and I am honored to be associated with their brand. 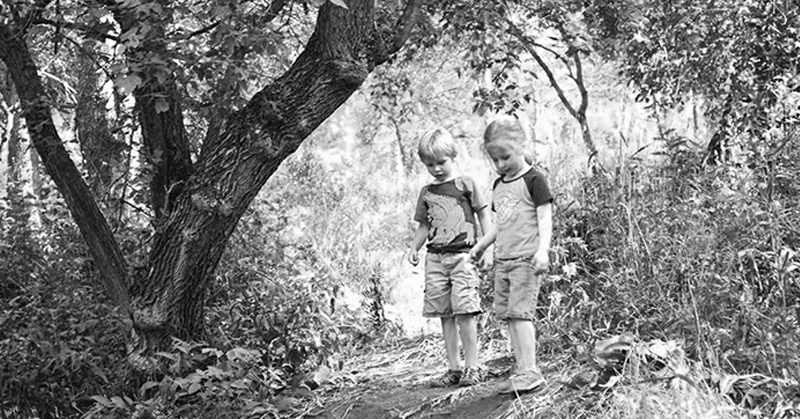 And, for what it is worth, we have been eating Plum Organic products in our house for the last three months, and the kids are nuts about them. You can check out their whole line of products on ther website, plumorganics.com. I love how you outline the learning lesson in such a moving way! Children have to make mistakes to learn and unfortunately sometimes those mistakes will hurt.... My little one is 7 months old and he just started crawling just a few weeks ago. Now he is starting to bump his head, trip over his little hands etc. But as you said in your article, it will only make him stronger. Keep up the great work! I would love to link on social media! What an important message to share with your children and I love how supportive you are about it. By encouraging children to identify and learn from their mistakes we are encouraging important growth and metacognitive awareness. This is is an ongoing conversation I need to start with my children. How beautiful. It is such an important life lesson to learn, that not everyone has the privilege of realising (I'm sure we've met quite a few adults who sadly never got this). We all have this fear of being seen to be wrong in a situation. Pride and ego can get in the way. But it's so important to have empathy and to be able to look at our part in a situation. That self awareness is priceless and will serve your daughter well in life. One of my favorite quotes is: "Confidence comes, not from always being right, but from not fearing to be wrong." (Peter T McIntyre) Same general concept, I think. Something I hope to teach my boys, as well. I think a lot about this, and you've put it really well. People spend so much time raising up their kids to be great, to be awesome, to be as good as they can be. To be right the first time. To not make mistakes. But sometimes it feels like there's a piece missing, the piece that says "it's okay that I messed up. Sometimes, in fact, it's even better to make a mistake and then to fix that mistake, than it is to never learn from making mistakes."